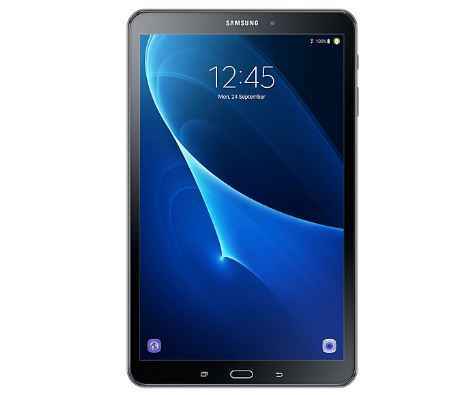 Samsung on Wednesday released a new tablet “Galaxy Tab A 10.5” with new entertainment options and improved audio on Rs 29,990. The device with a 10.5-inch screen is equipped with quad speakers powered by Dolby Atmos. It has an 8-megapixel camera setup on the back with flash and a 5-megapixel camera on the front. “With a redesigned design, larger display, thinner edges, quad-speakers with Dolby Atmos and improved 7.300mAh battery, the recently launched device makes it a complete entertainment device for the whole family,” said Aditya Babbar, General Manager, Samsung India a statement. With ‘Galaxy Tab A 10.5’, users can easily control their home appliances via Samsung’s SmartThings with just the push of a button, the company said. The device also features the “child mode” designed to make learning and entertainment easy, safe and fun for children. “Child Mode” gives parents the control needed to manage usage time and ensure content. The device is available from August 13 at Flipkart, the online store of Samsung and the leading offline stores. Galaxy Tab A 10.5 customers on Jio 4G would be entitled to immediate cash back of Rs 2,750 when charging with Rs 198 or INR 299 plan. Customers also receive double data benefits with each top-up for the next 4 recharges.